You can’t get fresher than this! Which we had as a wonderful side to white aubergine stuffed with quinoa and baby peppers, topped with za’atar (recipe here). I didn’t have courgette (as though my choice of vegetables didn’t already have enough carbon airmiles to it – I just couldn’t resist the white aubergine – offsetted by the really local spinach) so did away with it and just placed tiny dollops of cream cheese instead of feta. E who previously didn’t eat aubergines AND peppers said it was great. 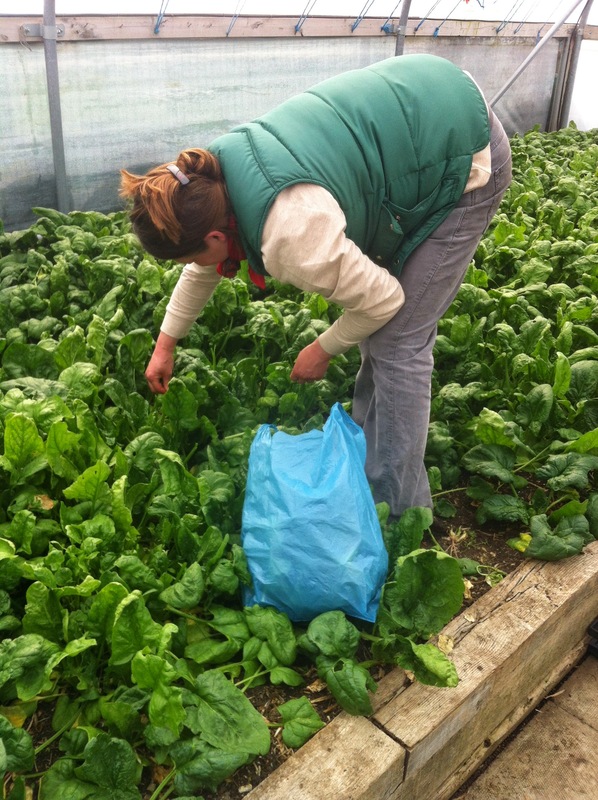 Watch this space – we’ll be trying to get some of these veg and especially the greens grown on local city farms into those bags.